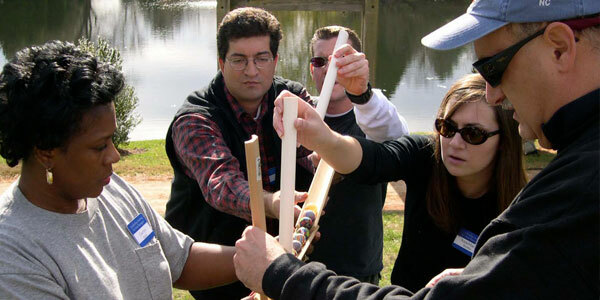 Team Building Programs & Leadership Development. We've helped thousands of companies all over the world. Over 150,000 participants, to create environments in which effective teams, growth, and leadership contribute to healthier bottom lines! Call us today for a FREE Confidential Solutions Summary. 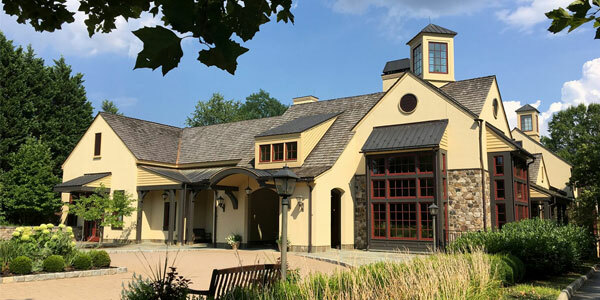 What makes our company's approach different from other training and development companies is our laser-like focus on and expertise in your business' unique and specific needs, which benefits your business with effectiveness born of relevancy. Our uniquely talented people do this for you through an innovative business model that allows us to create one-of-a-kind, custom-designed programs for each client which is far more effective than the usual templated and scripted programs used by other training companies. As a result, your company benefits by getting all of your people on the same page, focused specifically on your company's highest priority goals and objectives, which dramatically improves your company's bottom line. Collectively, our facilitators have over 900 years of experience. There is something about good leadership which, throughout history, has changed the way people think. We believe that the qualities of a good leader trickle down to the those below them. In business terms, it means profit. How? It works by saving time, by increasing productivity, and by allowing workers to feel comfortable without constant conflicts. If you or your company is in need of leadership training - the kind that will pay you back in dividends - we know you will find Organizational Wide Leadership Solutions to be the very best at bringing out the positives. 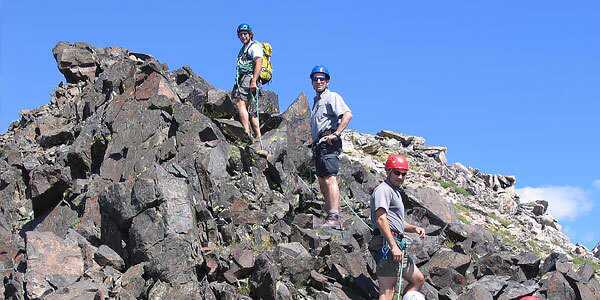 Our tailored team building activities simply deliver more from every training and development dollar you invest. And we guarantee it! High Quality at low prices. Companies need people with tangible leadership skills, such as: communication & Conflict management. 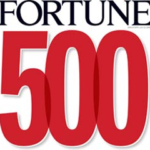 Learn how to take your organization to a level of sustainable greatness. Experience delivers results! 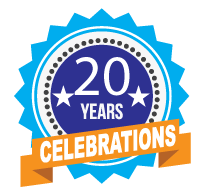 With over 40 PhD and MBA level facilitators, most with 20+ years of consulting experience each, your goals will be achieved. 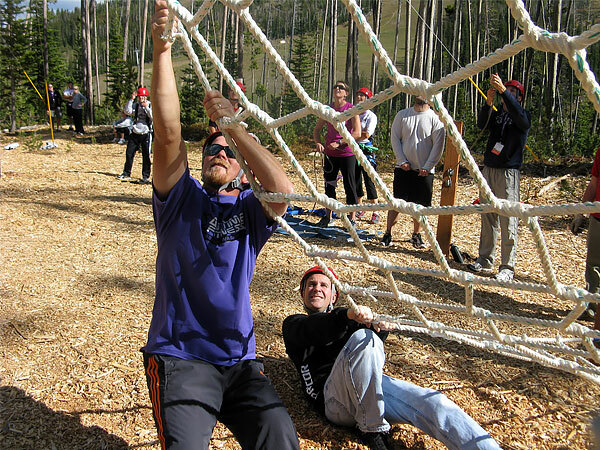 Challenge and rope courses present physical and mental team building challenges designed to improve existing interpersonal skills and help participants overcome barriers to personal and group growth. Our comprehensive scientifically-driven QLG system, developed with and by our most successful clients, guarantees breakthrough corporate business results. 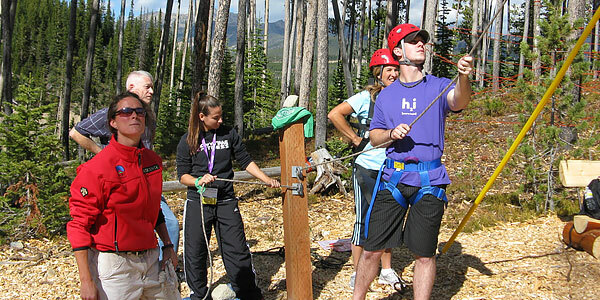 This is seen in our corporate ropes course, which offers physical and mental team building challenges. It's the same with our corporate events, where we travel right to you to show our expertise. Decrease conflicts, increase performance and profitability. Picture meetings with employees that go well: offer no mean words, have a positive atmosphere and have a focus on the bottom line. Organizational Wide leadership Solutions has worked with many companies, making these pictures a reality. Conflicts can destroy a company, but in more cases, they tend to limit its expansion. We allow young companies to grow old, old companies to increase profit and respect. With our many programs in dozens of states across the country, we have come to be known as one of the best available, anywhere. Isn't it bad when employee conflicts hurt your company? It happens more often than you think. 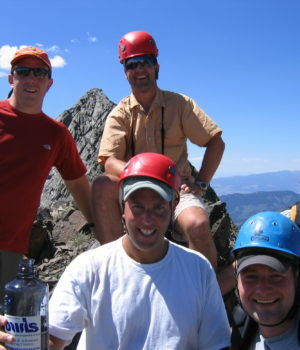 With our team building facilitators, we believe you will find your company turning around completely. Some team building companies don't take you or your employees seriously. Not so with Organizational Wide Leadership Solutions, which is proven by all our customers recommending us again and again. Working with us will improve so many things, like beginning to understand why we have such positive customer relations ourselves. Just read some of our testimonials, which highlight how we offer some of the best programs available. 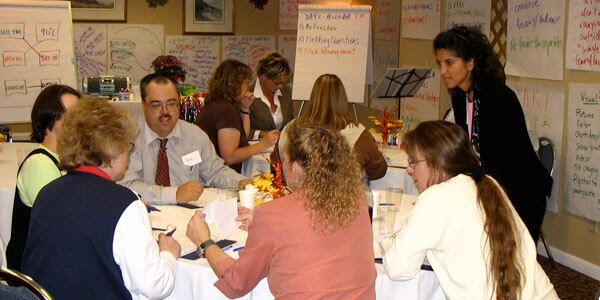 There is, simply, nowhere else to go for qualified customer service training. Try out our team building facilitators, customer service training, and many other forms of leadership training and development. We deliver our custom team building, organizational and corporate team building programs wherever works best for you, anywhere in the world. Participants find that, because what they learn is personal discovery, they take this new knowledge with them, own it and use it to make positive changes in their work and their lives. Other training companies tend to disappear once your program is over. Unfortunately, so do the results of their programs. Our programs offer more. 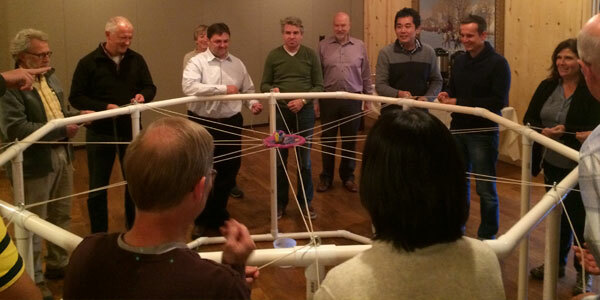 Every team building, leadership and organizational development program we design continues to serve you down the road. That's because our exclusive follow-up process allows us to pinpoint exactly what has been learned during the program and then helps you translate that knowledge from the activity to the real world, back within your organization and culture. Erik and his team always deliver their work with a very high level of quality. They worked very hard to become knowledgeable and conversant about my company's values and culture. This allows them to be a real thinking partner when we collaborate on work”. We had fun; we experienced some things most of us wont dare do but did anyway; we were encouraged by our colleagues courageous attitude. The most important thing we wanted to achieve is to have fun, reality fun, and we achieved it. We would not have done it without OWLS”. The OWLS provided an afternoon of rewarding team building exercises in an exceptional outdoor environment. My staff had nothing but positive comments on the activities and resultant lessons learned”. There is something about good leadership which, throughout history, has changed the way people think. We believe that the qualities of a good leader trickle down to the those below them. In business terms, it means profit. How? It works by saving time … by increasing productivity … and by allowing workers to feel comfortable without constant conflicts. If you or your company is in need of leadership or management training—the kind that will pay you back in dividends—we know you will find Organizational Wide Leadership Solutions to be the very best at bringing out the positives.